The Acclaim did not live that long a life, but, in a quiet and unnoticed way typical of the car itself, its legacy can be considered to be enduring. A late Triumph Acclaim – taken in the Heritage Motor Museum. “NO OFFENCE. Reliability, something not always associated with BL products, was the most memorable characteristic of our LTT Triumph Acclaim, though the spritely Honda drivetrain also won it approval”. Title of Car’s Long Term Test article regarding an Acclaim HL which it ran over 28,000 miles in 18 months. So, the Acclaim did achieve a reputation for reliability. In the first of a series of articles about a car already surprisingly well (or not so well) referenced in Driven to Write, S.V. Robinson discusses the political and industrial shenanigans that presaged the Triumph Acclaim, sired by Project Bounty. “Would the Government be prepared to throw away this pioneering agreement between a British and a Japanese motor company, which might encourage wider moves to transplant the benefit of Japanese technology and efficiency to Britain?” Sir Michael Edwardes, ‘Back from the Brink’. As a car, the Triumph Acclaim can claim little of note that is ground breaking. It is a car that, infamously, was not conceived as a Triumph. More subtly, by the time Acclaim came to be, Triumph itself was a brand without a range of cars, just a single model, built in Morris’s Cowley factory to design, engineering and production specifications developed in Tokyo. After I tried my hand at formulating a little quiz, I had a go at another one. Driven to Write takes aim at Triumph’s putative TR7 successor and gives it both barrels. Author Eóin DoylePosted on 2 Dec 2016 27 Mar 2019 Categories Marques, Motor Shows & Car Museums, Standard Triumph, The HistoryTags David Bache, Harris Mann, Triumph, Triumph Broadside, Triumph TR714 Comments on Triumph or Harrumph? The head-restraints in the Rover 3500 always struck me as overkill, the ones in the back I mean. 1968 Rover 3500 rear head-restraint. 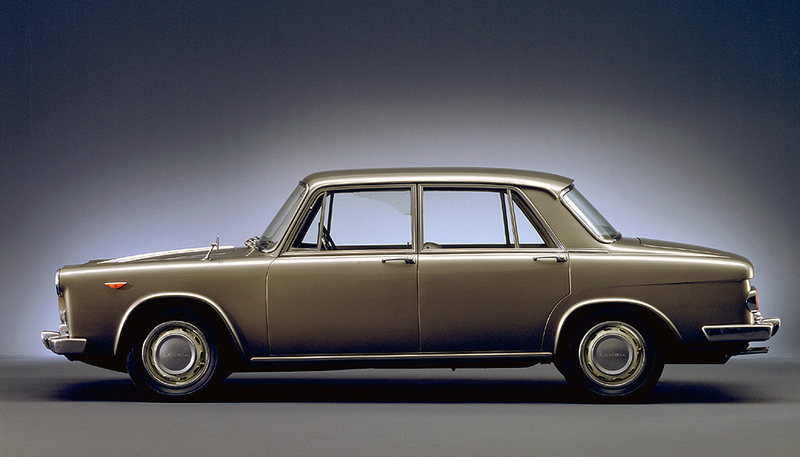 What do the Triumph Toledo, the Ford Taunus and the Rover 75 have in common? The series 2 looked better with the single-frame front end, one of Michellotti’s triumphs, if you’ll pardon the pun. 1963-1969 Triumph 2500 PI: fuel injected, straight-six, rear drive. This could well be another item in the Japanese-theme series we’re running. The title would then be so long I’d have no room for the rest of the article. Which cars are for today’s ophthalmologists, vets and professors of Medieval law?